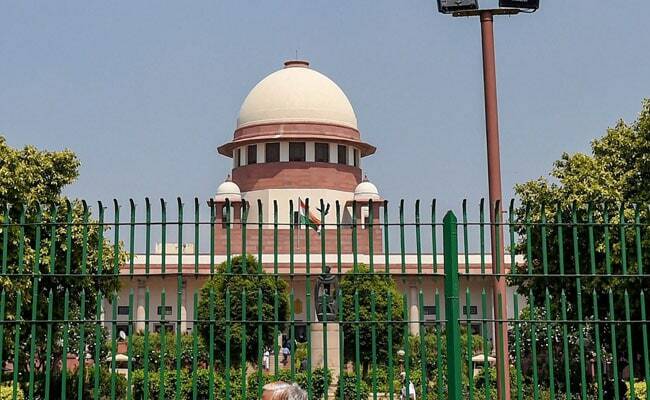 Taking strong exception to two prime properties including a five-star hotel of the embattled Amrapali Group finding no bidders, the Supreme Court on Monday said that prima facie it looks like “cartelisation is at work” and sought to know whether “banks are part of cartels”. The top court said that it is “shocking and disturbing” that bankers are not coming forward to finance the properties. The top court said that banks are ready to finance projects for National Building Construction Corporation (NBCC) but they are not coming forward to finance the Amrapali properties being sold by Debt Recovery Tribunal (DRT) in an auction. A five-star hotel “Amrapali Holiday Inn Tech Park” constructed in Greater Noida and prime land in Vrindavan in Uttar Pradesh were put up for auction on January 31 by the DRT but no bidder had come forward to bid. The court allowed the NBCC to issue advertisement for the unsold flats of two Amrapali Projects — Eden Park and Castle — being constructed by it so as funds could be raised. It said that interests of the homebuyers is at receiving ends as they are the ultimate sufferers. Mr Aggarwal told the court that Amrapali Group liability towards Greater Noida authority is Rs. 3,200 crore, for Noida authority it is around Rs. 1,900 crore and of banks it is around Rs. 2,000 crore. The forensic auditors also pointed out that multi-national firm JP Morgan Real Estate fund, which had invested Rs. 85 crore in Amrapali Zodiac in 2010 by purchasing its share and later selling them to the sister companies of the realty firm has violated several then existing norms. Mr Aggarwal pointed out that shares purchased and agreement of JP Morgan Real Estate fund and Amrapali Group were in violation of the provisions of law as out of Rs. 85 crore money received by Zodiac project, Rs. 60 was transferred to other projects. “The shares purchased by JP Morgan were later purchased for Rs. 140 crore by Amrapali’s two sister companies — Neelkanth and Rudraksh — which were floated by a peon and one office boy — who were working in the office of statutory auditor of the Group,” he said. The bench asked forensic auditors who was the actual beneficiary in the transaction prima facie it does not appear to be a bona fide transaction. The auditors replied that they have written to the JP Morgan but they have not yet shared the name of actual beneficiary. Counsel for the JP Morgan said that every transaction with Amrapali were legal and investments were made as per then existing law. He said that besides Rs. 85 crore in 2010, JP Morgan has also invested Rs. 140 crore in Amrapali but so far they have not got any benefit. On January 25, the apex court had given NBCC go-ahead to complete two stalled projects of Amrapali Group. The NBCC had told the court that it has floated tenders for completion of two projects – Eden Park and Castle – of Amrapali and would start construction in the month of February. On January 16, the court-appointed forensic auditors have said in their report that posh flats were booked on sums as low as Re 1, Rs. 11 and Rs. 12 per sq ft in the name of home buyers.